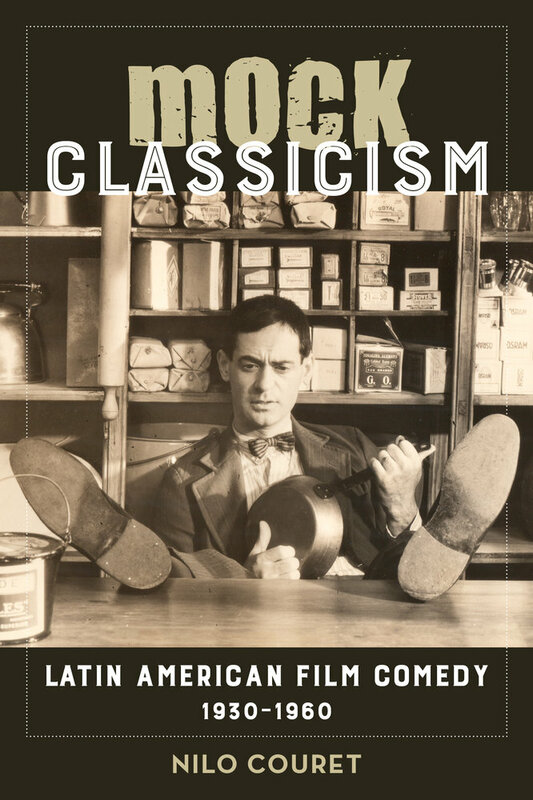 In Mock Classicism Nilo Couret presents an alternate history of Latin American cinema that traces the popularity and cultural significance of film comedies as responses to modernization and the forerunners to a more explicitly political New Latin American Cinema of the 1960s. By examining the linguistic play of comedians such as Cantinflas, Oscarito and Grande Otelo, Niní Marshall, and Luis Sandrini, the author demonstrates aspects of Latin American comedy that operate via embodiment on one hand and spatiotemporal emplacement on the other. Taken together, these parallel examples of comedic practice demonstrate how Latin American film comedies produce a "critically proximate" spectator who is capable of perceiving and organizing space and time differently. Combining close readings of films, archival research, film theory, and Latin American history, Mock Classicism rethinks classicism as a discourse that mediates and renders the world and argues that Latin American cinema became classical in distinct ways from Hollywood. Nilo Couret is Assistant Professor in the Department of Romance Languages and Literatures at the University of Michigan.